Last year at this time, I had some words about the treatment of technology in the 2015 EdNext Poll on School Reform. My critique (along with that of others who may not have been so public) resulted in a public rejoinder and reconsideration by Paul Peterson and Michael Horn of the magical percent of instructional time that should occur on computers in American high schools. Presumably, this ideal dosage of the ‘blended learning’ intervention would be sufficient to reliably generate positive learning outcomes for typical students in typical schools when compared to the alternative: traditional classroom practice not involving the use of computers. While I asserted that the polling question was of dubious value and its analysis misleading, the authors doubled down on the broad importance of the question and line of inquiry. Fast forward one year to the release of the 2016 EdNext Poll on School Reform and its findings on blended learning and I find myself wondering if there must be a glitch in the EdReform Matrix (which seems incapable of bringing the same level of rigorous analysis and consideration to issues of technology-based school reform and improvement strategies as it does to other reform strategies). The main finding of this year’s EdNext poll is that more than 9 in 10 teachers and parents support a role for educational technology in high school whether as a tool to support independent learning or as a mode of instruction. Despite claims made by the poll authors and Education Week (in uncritically reporting the poll) the poll does not provide evidence either in support of or against ‘blended learning’ (as a specific technology-based intervention vs. a wider range of uses of technology in high schools) or point to any changes in opinion from 2015 to 2016. In fact, the poll authors did not report significance tests for any differences between the 2015 and 2016 years – and even if the differences are statistically different (which I very much doubt) – they are not meaningfully different for any practical decision of policy or practice. And, to be clear, the poll findings should not be taken to generalize to any student population beyond high school (like to elementary or middle school students). treat specific software tools, educational websites, and instructional programs as if they are all equivalent (despite the fact that they are not universally available for every subject matter/state standard and are certainly not perceived to be equivalent in terms of effectiveness). The final main finding I would point out is one that – yet again – the EdNext pollsters seem disinterested in pursuing: according to their own polling data, there appears to be a racial/ethnic component to the public’s view about the desirability of the using the computer in high school classrooms. That is, there appears to be clear biases toward more computer use by African Americans and also perhaps Hispanics as compared to other populations sampled in the poll. Certainly, the data seem to suggest a story here that begs further investigation. 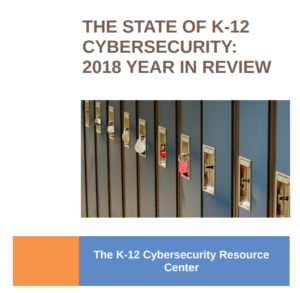 Taken together and across the two years the poll questions were fielded, these findings suggest broad and consistent support for technology in the high school classroom as a supplement and enhancement to the instructional program. While that may be heartening to some in the field, it is hardly a surprising or actionable finding in and of itself. It certainly does not strike me as particularly newsworthy. Having said that, the racial/ethnic differences in positive feelings toward technology in the high school classroom continue to be intriguing to me, and I hope others are able to pursue empirical work to help explain the correlates, drivers, and consequences of these apparent differences. Given that the above findings were de-emphasized by the poll authors, what about the primary claim they make? I think there are two issues with their argument. First, the polling question did not ask about ‘blended learning,’ which has a very specific meaning according to advocates and practitioners. See, for instance, definitions by The Clayton Christensen Institute for Disruptive Innovation, iNACOL, and The Learning Accelerator. While specific definitions vary across parties, all of them assert that ‘blended learning’ consists of more than independent class time spent working on or with a computer. As such, I’d assert that the polling question on ‘blended learning’ is best interpreted as a proxy for opinions about the use of technology in the high school classroom more generally. Devoting more than one question to technology/blended learning in their 23 question poll (not counting question variations) would surely help to clarify how respondents feel about the underlying issue of interest. Less than 30 percent of instructional time spent on using technology for independent learning or as a mode of instruction should mean that ‘blended learning’ is not supported. 30 percent or greater instructional time spent using technology for independent learning or as a mode of instruction should mean that ‘blended learning’ is supported. The magic of the 30 percent instructional time cut-off seems likely to have been derived from the 2016 EdNext article, “The Ideal Blended-Learning Combination,” despite the fact that the question of an instructional time cut-off or dosage effect does not even rise to the level of consideration in most research and evaluation of blended learning practice, especially as it relates to high school students. Perhaps some will see this as an area for further research, but I’d argue that the suggestion that more technology use is always and inherently better for student learning (across students, teachers, subjects, grade levels) is – to be gentle – misguided, ill-informed, and not supported by research. After all, I thought the point of using the technology was student learning, not some arbitrary fixation with devices. Last year, I advised the authors of the EdNext Poll on School Reform to not continue this line of inquiry: change the question, add questions to provide further context to their findings, or drop the topic all together. As they gear up for the 2017 poll, my advice is to take the red pill – see the educational technology landscape as it is – and either strive to make a real contribution to the dialogue or leave it to others more attuned to the nuances of technology use in education.